Expect the new Cayenne to be tough enough to endure whatever a bad driver can throw at it. We Americans, no strangers to unreliable domestic cars ourselves, love to point out one thing about supposedly well-engineered German cars: the fact they tend to age well until having catastrophic breakdowns spanning multiple systems that are crucial to make the car drive. That may be why it came as a bit of a surprise that Porsche topped J.D. Power’s most recent quality survey. Not that we suspected Porsche was an unreliable automaker, but not many gearheads would peg an exotic automaker for being most dependable. 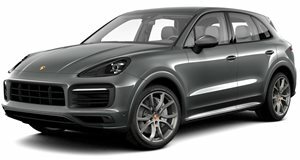 Keen to tell us a bit about how it extracts such impressive longevity along with mind-bending performance, Porsche decided to outline the intricacies of its global endurance test program that every new Cayenne must go through before getting its own prancing horse crest, which just so happens to be the Stuttgart’s coat of arms. With more than three quarters of a million Cayennes having been sold since 2002, it’s clear that Porsche has managed to refine the process. It all starts by putting the prototypes through the extremes since if they can survive these, the averages should be a cakewalk. By extremes, we’re talking minus 45 degrees Celsius (-49 Fahrenheit) to over 50 degrees Celsius (122 Fahrenheit). It’s at these outlying temperatures as well as everything in between that Porsche then drives the Cayenne over 2.75 million miles. It’s not just the individual components that must stand up to the test of the elements either, the overall soul of the car must remain intact throughout the drive. To ensure that the body and chassis is up to the challenge of remaining as solid and rattle-free as possible, Porsche puts it through what it calls a Hydropuls unit, a device that applies harsh vibrations to the vehicle to ensure it’s up to the stress. The aim is to put the new Cayenne prototypes through more wear and tear than they would be under during any feasible customer driving conditions. This ensures even the most violent or stupid of drivers can’t ruin a Porsche.